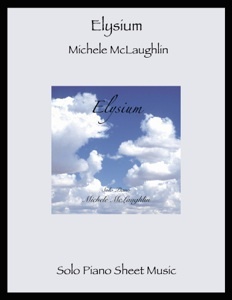 Elysium is the companion songbook to Michele McLaughlin’s 2001 CD by the same name. All sixteen pieces from the recording are included, expertly transcribed note-for-note by John Zechiel and David Shenton. 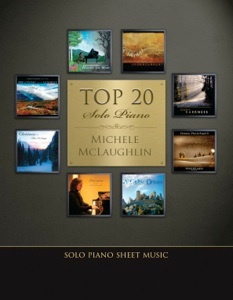 Most of these pieces are quite easy and fairly short, making the collection appropriate for pianists of an intermediate to early-advanced skill level. 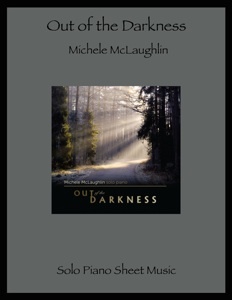 The songs range from quiet and dreamy to fast and joyful, offering something for just about everyone and every mood. The notation is clean and easy to read, and chords are few and far between. There are no reaches of more than an octave, and most of the pieces are composed in C major or A minor (no sharps or flats in either key). In most cases, the left hand keeps a steady repeated rhythm, simplifying the timing. The lovely melodies and the fun of playing the music should provide pianists many pleasurable hours of playing. 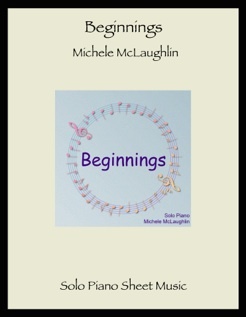 Some of my favorites from this collection are “Footprints in the Sand,” “The Journey Home,” “Learning to Forgive,” “Elysium.” and “Springtime Frolic.” All of Michele’s sheet music and songbooks are available from michelemclaughlin.com.